How did I not know M Ward and Jim James have a crème brûlée review website? 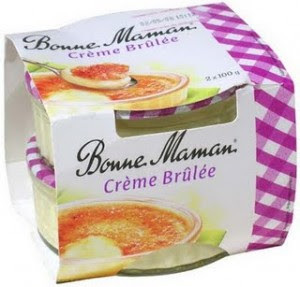 They actually have a website where they review crème brûlée! I wonder if any other musicians do something similar. This would combine two of my most favourite things, Music + Food! I might explode! Here's their description of "The standard to which all other brulee shall be held." WARNING - They really do take their crème brûlée's super seriously! "i am in a forest of cream. my feet sink into sopping wet puddles of deliciousness with every step forward…all around me are trees of sugared caramel all covered in sweet lace burnt amber leaves…i see a volcano explode from afar-at first i am frozen with terror but then i remember that i am a magic child and i have the ability to freeze the lava flames and turn them into sugar! i walk across the creamy forest up to the frozen lava flame and crack off a piece, popping it onto my tongue- sublime! i notice at the bottom of the sugar flame a melted pool of caramel connects it to the earth…i dip my finger in for a taste and i am at the county fair now eating the greatest caramel apple on a stick- perfection! i notice two hummingbirds sitting on the shoulders of a younger mark twain as he licks the caramel off the bottom of his brulee… (IF YOU'VE MADE IT THIS FAR WELL DONE) and for the first time the idea of huckleberry finn pops into his mind and he smiles with the knowledge of future success. he notices me and holds up his brulee in a “cheers” gesture- which i return- thrusting my brulee high into the air in mutual celebration. ladies and gentleman we have found the standard to which all brulee shall be held up to and judged against- the fabulous creation of pastry chef angela reynolds at nashville’s miel restaurant." Not a fan of them personally, more of a chocolate gateau kinda lady.